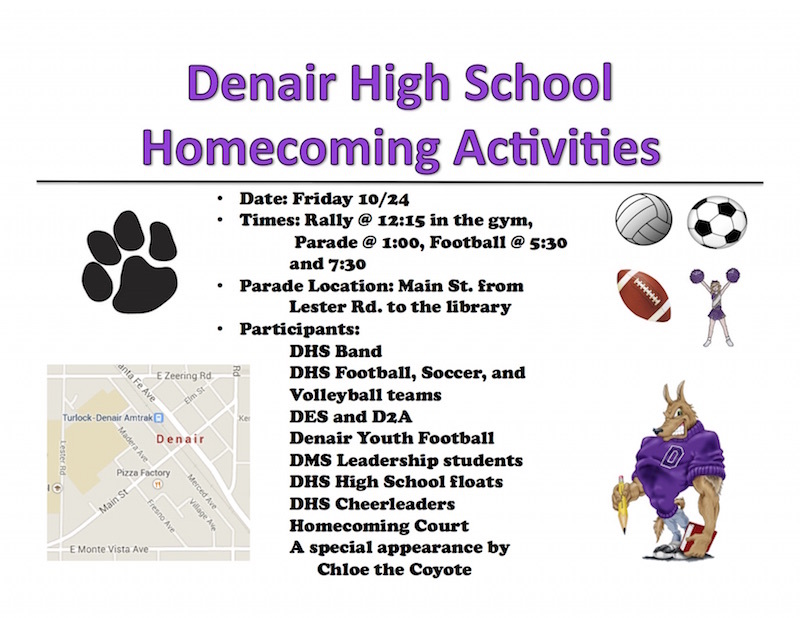 Denair High School’s homecoming parade will take place on Friday, October 24, at 1:00 pm. The parade will start at Lester Road and Main Street and will end at the Denair branch of the Stanislaus County Library. 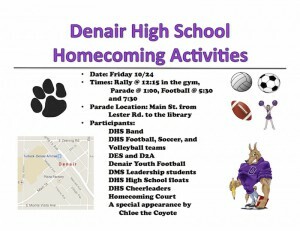 Joining the homecoming parade will Denair High School band; the DHS football, soccer and volleyball teams; floats from Denair Elementary School and Denair Academic Avenues, Denair Lions Youth Football, Denair Middle School leadership students, and Denair High School cheerleaders. Homecoming games against Ripon Christian High School will start at 5:30 p.m. for junior varsity and 7:30 p.m. for varsity at Jack w. Lytton Stadium. Posted in News and tagged Denair High School, Football, homecoming, parade. Stacei Close liked this on Facebook.